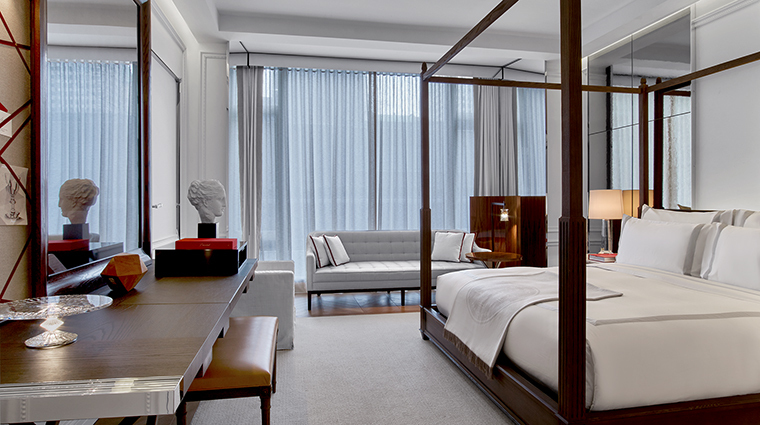 Revel in unbridled Manhattan elegance when you check into Forbes Travel Guide Five-Star Baccarat Hotel and Residences. Book a two-night stay at this ultra-sleek Midtown retreat and receive a gratis third night to linger longer in luxuriousness. Spend your extra evening relaxing in the sumptuous Spa de La Mer, sipping Old Fashioneds at The Bar or exploring The Museum of Modern Art just across the street from your designer digs. 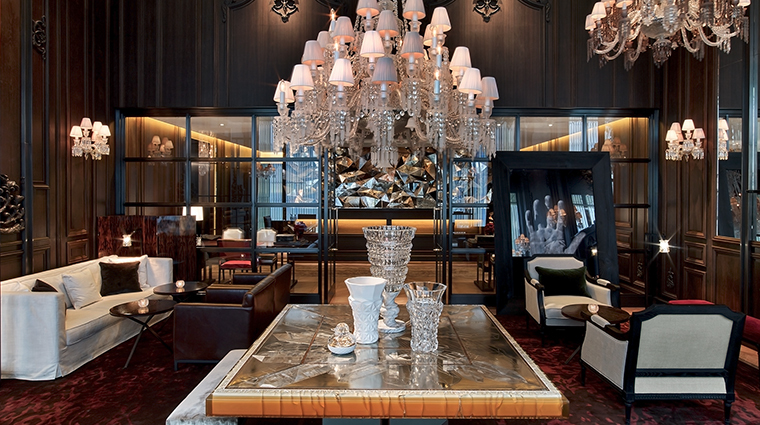 Famed crystal company Baccarat dazzled even the most jaded traveler when it opened its first hotel in New York City in 2015. 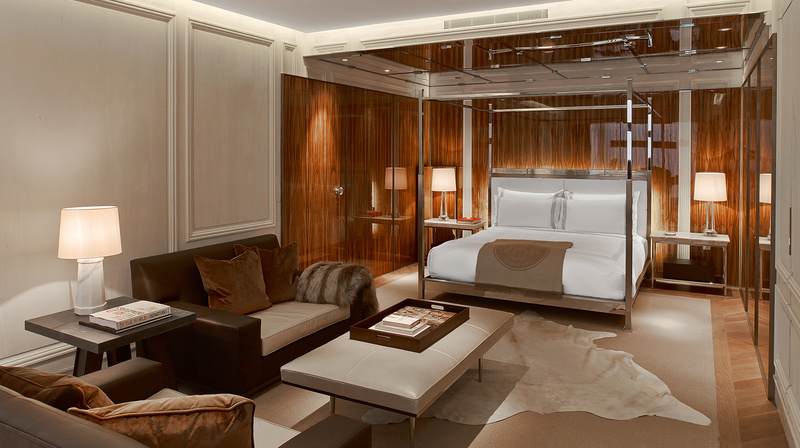 With its unflinchingly glamorous public spaces, subtly luxurious guest rooms, splashy bars and an ultra-luxe spa, Baccarat Hotel and Residences is nothing short of pure opulence. 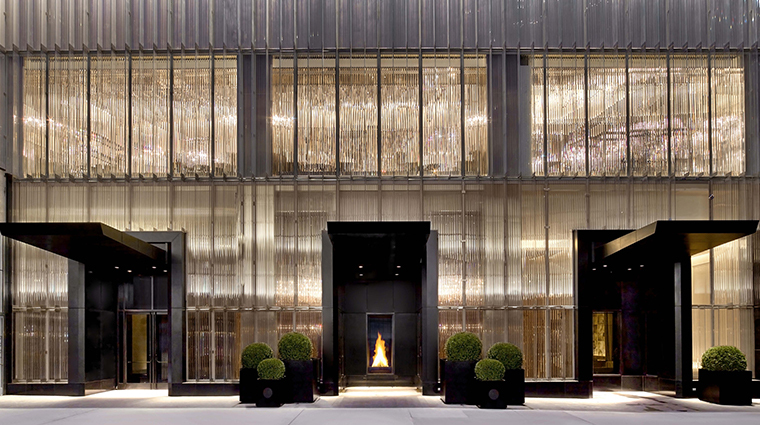 Located across the street from the Museum of Modern Art on East 53rd Street, the French-inspired hotel is flooded with millions of dollars of prismatic Baccarat crystals. 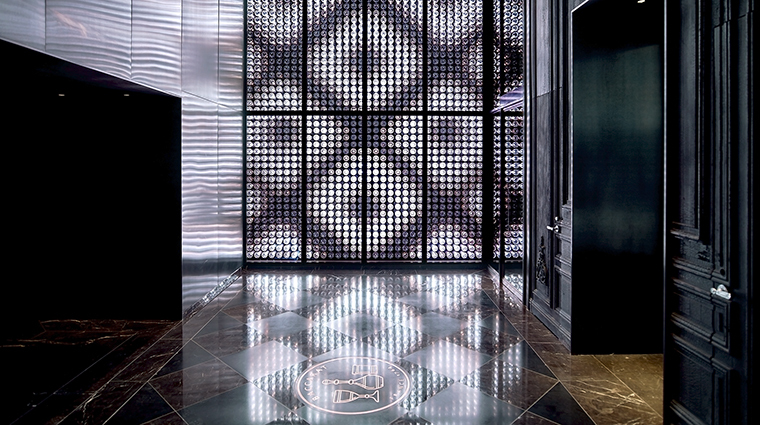 Even the typically benign street-level entry lobby was transformed into a darkly glam place, infused with massive Baccarat crystal chandeliers. Inside, there’s much more splendor to behold — within the various sitting salons you’ll see a sparkling mica-covered vaulted ceiling, silver-leafed wood paneling, gleaming parquet oak floors and pleated silk walls all seem stolen straight out of a money-is-no-object playbook. Outside every doorway is a unique piece of curated art, which can make you feel a bit like you are sleeping in a posh museum rather than a New York City hotel. Prestige, Harcourt Two-Bedroom and Baccarat Suites feature bath products from the acclaimed skincare brand, La Mer, making the Baccarat the first to offer hundreds of dollars’ worth of bath amenities per stay. Of course, this glitzy hotel has a champagne call button in every room. 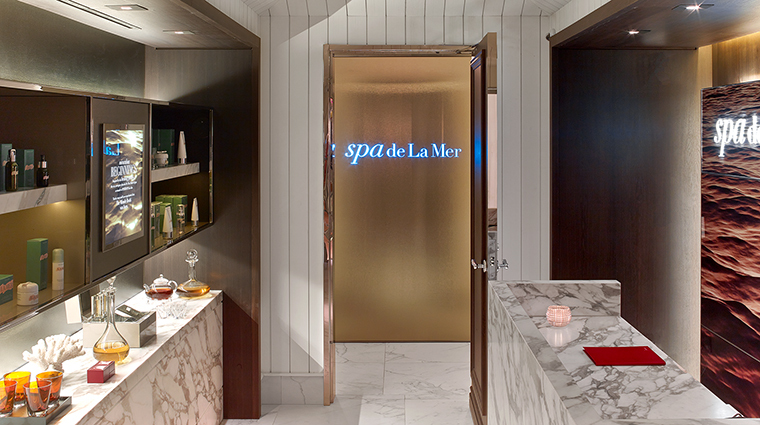 There’s plenty of ways to relax at the hotel’s Spa de La Mer. 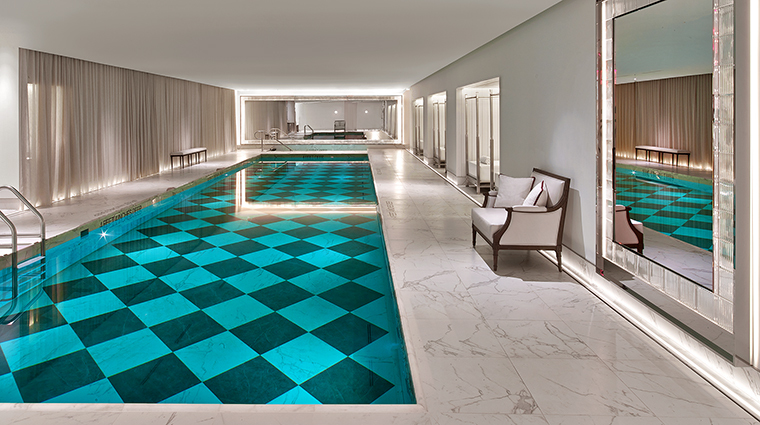 Located below the ground level, the spa is equipped with four treatment rooms, a 55-foot-long marble-tiled pool and poolside daybeds. 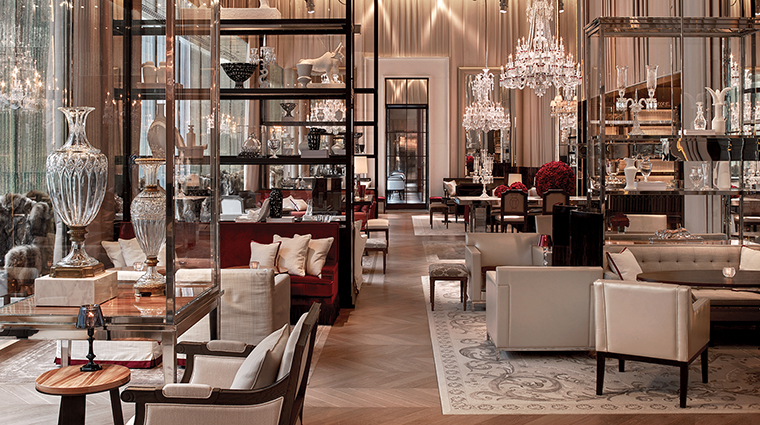 Visit the Baccarat boutique, where you can purchase the brand’s gorgeous creations for your own home. You can cruise the streets of Manhattan in style with the hotel’s luxury house car service – as long as your destination is no more than 15 blocks from the hotel. 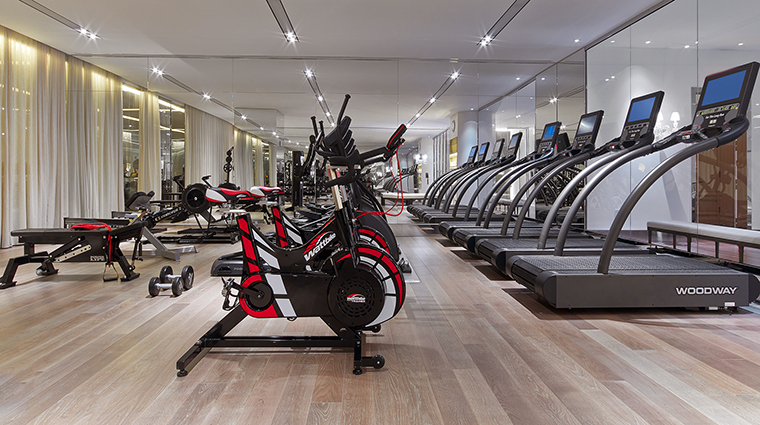 Get in a good workout all hours of the day in the hotel’s state-of-the-art fitness center. 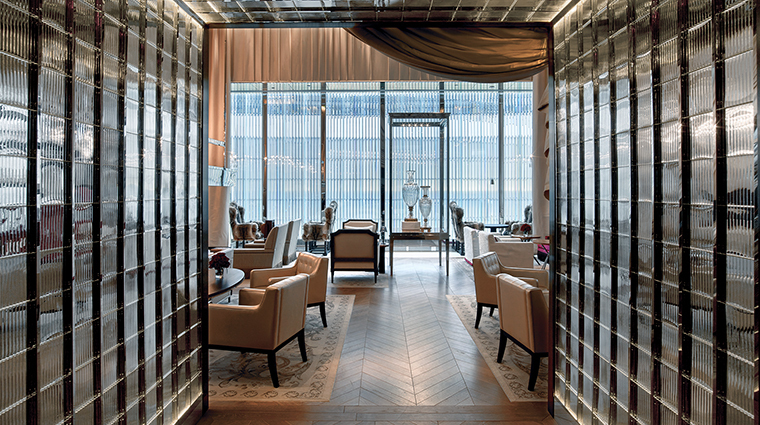 Within the 114 light-filled rooms, you are given a break from the over-the-top visual eye candy of the public spaces. 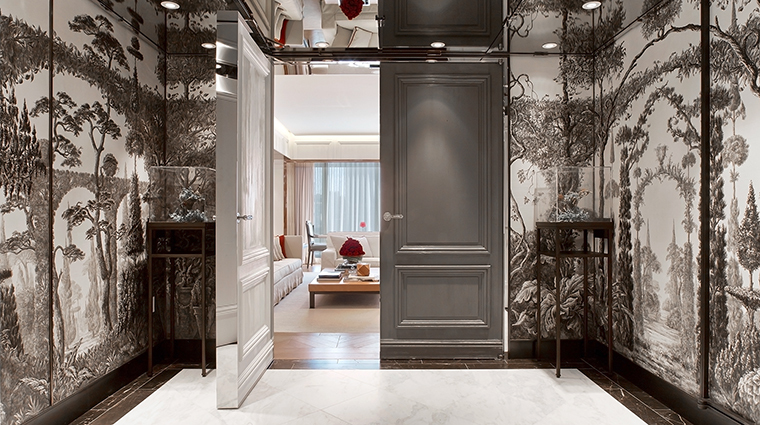 That doesn’t mean these spaces are boring — they are anything but. 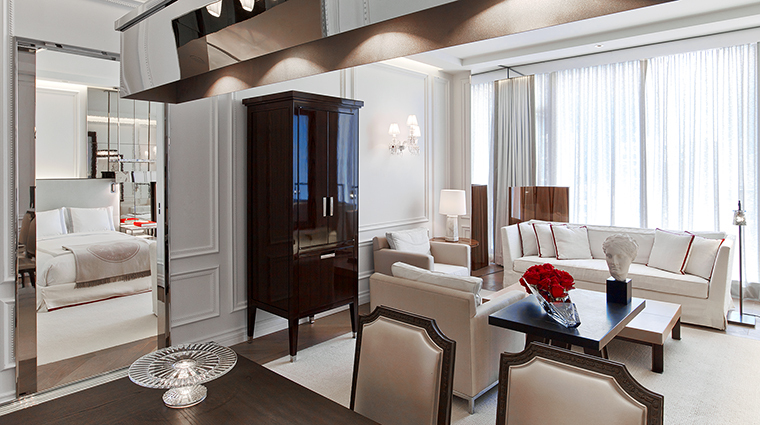 Each room is stocked with signature Baccarat crystal accents. The walls and linens are soft white, tinted mirrors hide flat-screen TVs, white marble bathrooms have plush robes — it all feels very serene. Luxurious extras abound. Bed linens are bought new and personally ironed for each guest. The Grand Salon is indeed a sight to behold, boasting Jouffre silk-covered walls, parquet floors, red velvet banquettes and a 64-arm Baccarat chandelier. It's the perfect spot to see and be seen sipping your morning coffee, afternoon tea or a glass of bubbles as evening falls. 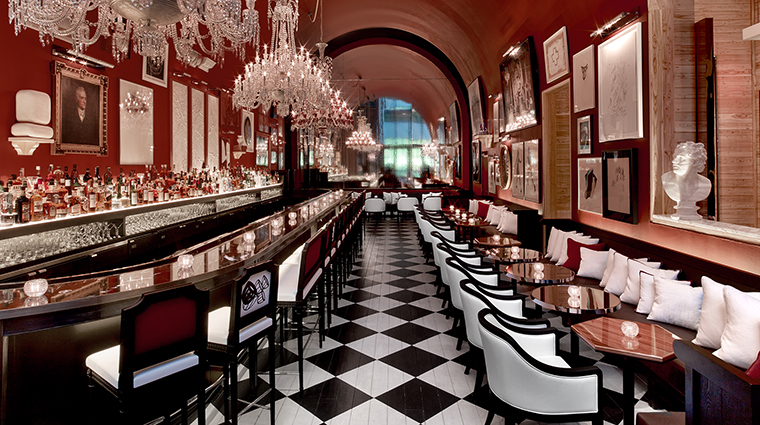 Upstairs, The Bar has show-stopping interiors that are black, red and white all over (with cascading Baccarat crystal chandeliers, too). Red walls, black-and-white checkered floors and an outdoor garden terrace reminiscent of affairs gone awry at the Jardin de Tuileries in the First Arrondissement of Paris provide a compelling backdrop for the bespoke cocktails.